Yes, I said it! Sure I realize that Chez Panise in Berkeley is the birth place for California Cuisine, (and Berkeley has great restaurants), but in recent years Oakland has moved the real food movement forward. There are many restaurants here that serve locally grown and delicious food. This weekend was all about the food, as we had the Eat Real Festival in Jack London Square. This festival is all about sustainable food, with the goal of making real food as accessible as fast food. As an Oaklander, I was happy to see a stellar turn-out with tons of people outside enjoying the food, drink and music at Oakland's waterfront. I will be honest, the lines were long, so I only selected a few spots to indulge. Friday night was majority a dessert night. My son, daughter and I parked, walked through Jack London, stopped in the Decade With No Name exhibit, a celebration of the sculptors, painters, photographers and street artists who call Oakland, Berkeley and the greater East Bay home. After walking the booths we all decided that we had to try, Sweet, absurdly creamy crème brulée. Rob of Sweet had various flavors, such as Grand Marnier, Coffee and Vanilla. You walk up select a flavor and they burn the cream while you wait. Unbelievably good. Next we stopped by Jack London's newest additions, Miette. Miette is an incredibly irresistible bakery, featuring cupcakes, cakes, cookies, ice cream sandwiches and rarely found candy bars such as Sky Bar and Flake. 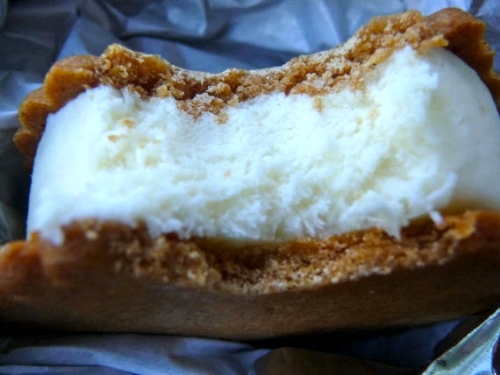 The creme fraiche ice cream sandwiches are incredible. Miette began at the Berkeley Farmer's Market and now has locations in the San Francisco Ferry Building in San Francisco and Jack London Square in Oakland. As the sunset, we headed over to Bocanova, for dinner. (For a detailed review, check out my Yelp page, Deidre J.) This place was hopping! With a full bar, handsome interior and gorgeous Oakland setting this place was the hang outfor Oaklanders. Day Two of the Eat Real Fest brought out a more food carts and quite a crowd. The best of show was Gerard's Paella. Seen on Throw Down with Bobby Flay on the Food Network, Gerard takes freshly caught seafood and makes monster pans of paella. His set-up is unreal! Worth the wait in line, this was the best lunch that I have had in weeks. Coming soon to The Oakland Berkeley Journal, food trucks around the town. Bon Appetite! 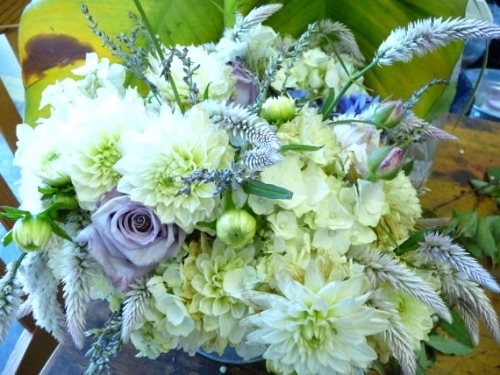 Why had I not visited Arjan Flowers before? I have passed this Piedmont Avenue boutique many times over the last 11 months it has been open for business. Somehow I missed it! Better late than never. Proprietor, Mina is gracious, knowledgeable and is the perfect hostess. She answered tons of questions, potted a staghorn fern that I purchased, and after an enjoyable visit she left me wanting more. 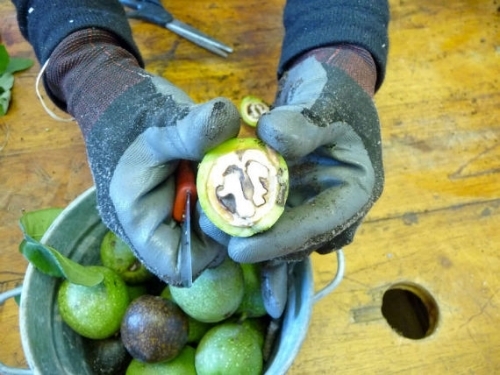 Expect arrangements with branches, fruit and unusual findings. In fact during my visit a customer presented Mina with blackberries on the vine from her garden for Mina to incorporate into her arrangements. Marvel at the photos below. The other day on the news I heard a bleak forecast regarding small businesses in this economy. The report said that 1 in 5 businesses will close. I thought about all of the mom and pop shops that I patronize and how I like that they know me and my family. I will be honest, I do shop at Target for my basic household supplies, but there is so much more variety in the boutiques around town. Here are few shops within a one block radius of Telegraph Avenue in the Temescal District of Oakland. The other day I stumbled upon Ruby's Garden in the Temescal Plaza next to Genova Deli. How could I have missed this store for the last year? A clean and cool boutique with original art covering the walls and funky tee shirts for kids, handmade capes made by local folks, colorful ugly dolls and more. This is my type of shop. Ruby's Garden features clothing for babies and children up to age 8 and is a full service florist with delivery service available. Owners Mae and Mary are Temescalians , (Okay, I just made that word up - they work and live in Temescal and they are committed to the success of this district of Oakland.) Click here for Ruby's Garden online. Stop by Ruby's Garden for gifts, inspirations and urban chic clothes for your kids. The Shaver Shop is a local business that specializes in the sale and repair of knives, fine cutlery, scissors, barber and sewing equipment. Purchase new knives or maintain your old. 510-655-8742 Click Here to visit Shaver Shop online. 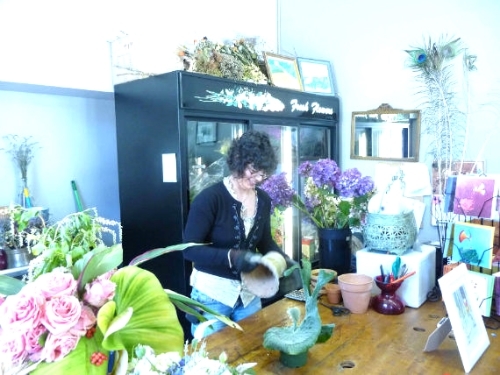 Article Pract's owner Christina Stork was super friendly when I stepped into her shop. She showed me the naturally dyed yarns made in Berkeley by, A Verb To Keeping Warm. 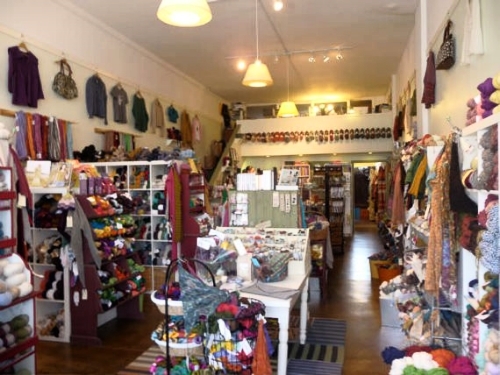 Her shop features as many locally made products as possible and offers an assortment of classes. Click Here to Visit Article Pract online. Proprietor Scott of Scout Hardware brings home inspiration to all. Showcasing uncommon goods from around the global including finds from French flea markets, no VOC paints by Mystic, window treatments, furnishings, lighting and more, Scout is an ever changing home and accessory store perfect for your Berkeley Bungalow, Rockridge Craftman, or any room that you want to add a little nostalgia. Click Here to Visit Scout Online. Here is a snapshot that I took of the cool paintings by Olivia Allums on the wall of Issues last December. So if you need a pick me up without spending the entire contents of your wallet, stop by Issues for a French Vogue or Atomic Ranch Magazine. This weekend will be buzzing with fresh new art! 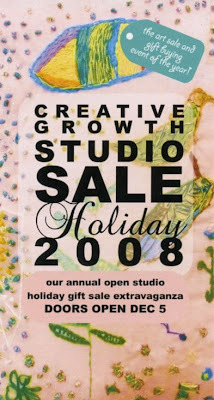 Creative Growth's Annual Holiday Sale opens Friday, it's also First Friday / Art Murmur in Oakland. Creative Growth Art Center serves adult artists with developmental, mental and physical disabilities, providing a stimulating environment for artistic instruction, gallery promotion and personal expression, Click Here for more information. 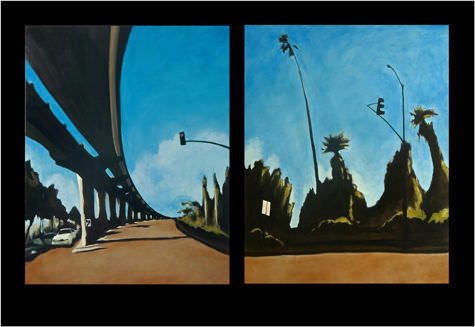 This Friday evening from 5-9 ISSUES on Glen Avenue off Piedmont Avenue will host a special opening for artist, Olivia Allums. 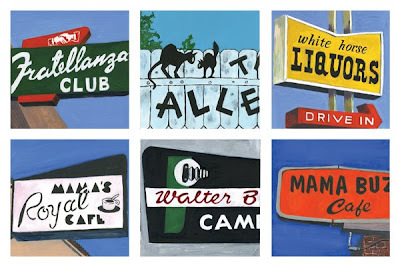 This show will feature 30 small paintings that feature signs from Oakland businesses. Click Here for more information. My friend and client, Leah Rivers will sell her handmade jewelery including white pearl double-wrap dewdrop necklaces; contemporary new all-silver pendants on chains; unusual antique glass bead bracelets; earrings with deep red garnets, cheery green peridot, tourmaline, and turquoise; and many other fantastic jewelry creations. 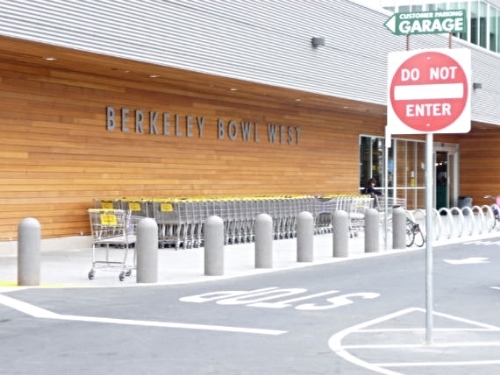 If you are going to shop, shop Oakland! I took this photo as the vertical sign from this vintage establishment was being removed. This was the home of Walter Bennett Camera on Lakeshore Avenue in Oakland. It is sad to see that after over 55 years in business this boutique camera store closed its doors. Understandably people were opting to purchase their cameras online or at larger electronic stores to save a few bucks. I admit, the last camera that I purchased was at a big electronic store in Emeryville as I wanted to purchase a camera at a cheaper price and with an extended warranty. The fact is we take these small businesses for granted; we walk pass them while they are in business and then we realize how much we miss them when they are gone. Two years ago my family needed passport pictures and we got immediate service at Walter Bennett Camera. This holiday purchase unique gifts from smaller, independent stores. Email me if you would like to receive my holiday newsletter with great discounts on Oakland and Berkeley businesses.